Ceftazidime pentahydrate is a third generation cephalosporin antibiotic. It has been used to study the penicillin binding proteins, especially PBP3. It has also been used as a selection tool for mutant colonies. 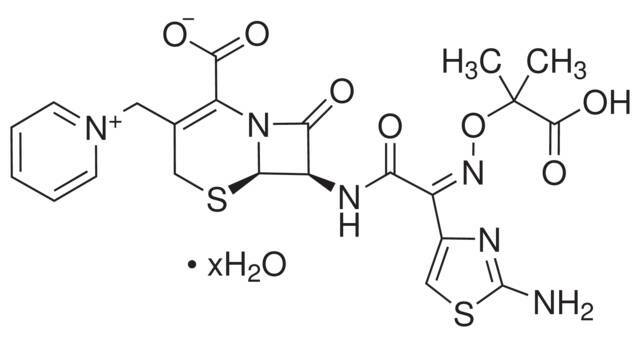 Ceftazidime targets gram-negative bacteria, including Pseudomonas aeruginosa and is less effective against gram-positive cocci. It is soluble in acidic and alkali solvents.